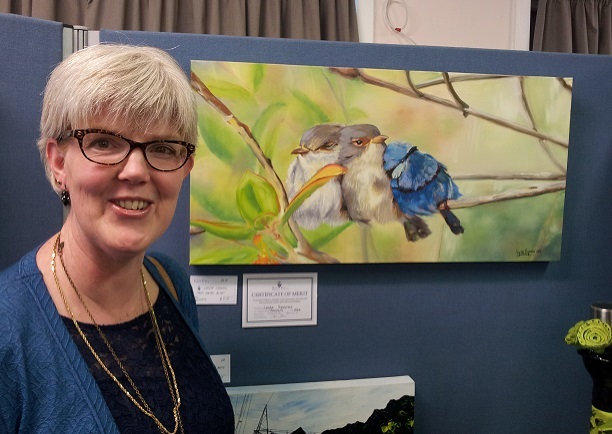 For my entry “Gateway to the Mountains’ I was honoured with first place in the Painting division at the 2015, 50th Annual Exhibition for the Active Arts, Taupo. Once the exhibition was officially opened I had the joy of seeing it sold within a minute. Wow! May the new owners have many happy years of enjoyment. Mail from Middle Earth arrived bringing good news! Shirley’s Shoes, here in Taupo, have a competition before every new catalogue is printed for original artwork to add colour and flavour to it’s pages. They honoured me with a place in the 2015 Autumn/Winter catalogue with ‘Kiwi on Tryfan’. 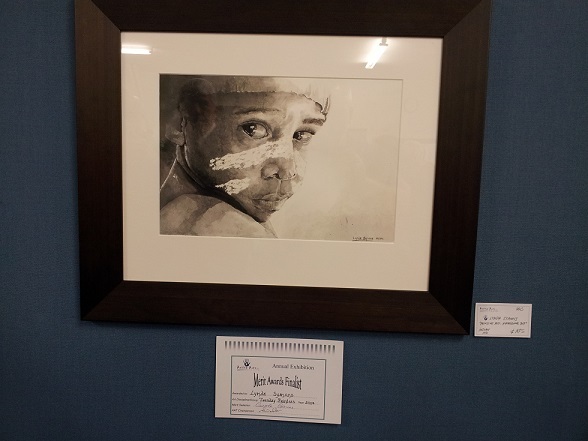 At the end of the 2014 Annual Active Arts Exhibition, the votes were counted and I was honoured with the People’s Choice Award for “Pensive Dancer’.The people chose… thank you! Honoured with Finalist award for 49th Annual Active Arts Taupo Art Exhibition on 16/10/14 ‘Pensive Dancer’ …one of the Kuraureg dancers with Uncle Seriat from Umagico, Northern Peninsula Area, Cape York, Queensland, Australia. Indian Ink wash on 300gsm watercolour paper, (297 x 420mm). 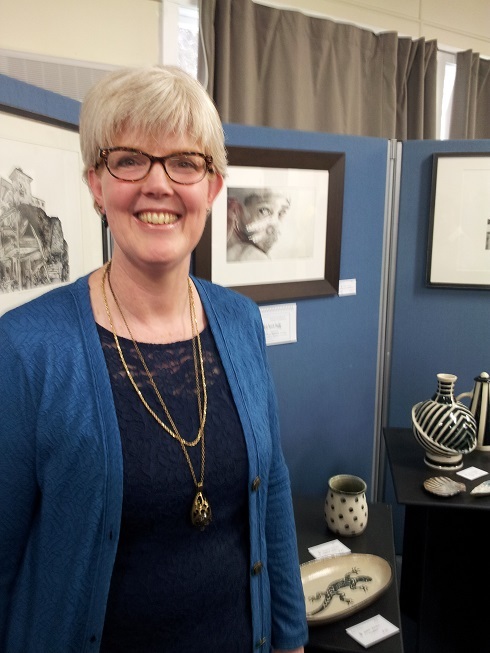 A Certificate of Merit for ‘Post Natal Blue’ at 49th Annual active Arts Taupo Art Exhibition. Oils on canvas. ‘Mama’s Watching’ was given a page in the “Shirley’s Shoes” catalogue for the Spring/Summer 2014 edition. Thank you to the judges and co ordinators for this honour. So proud of you, Lynda. You are living out your dream 🙂 More inspiration for you from Father. I love the paintings and am so pleased your dream has come to fruition. I look forward to enjoying your offerings. Thanks, Ingrid. It’s been a long time since you and I were homeschooling together. I’ll keep them posted on this site for you to see. Fantastic to see your dreams being realised. Thank you Lord for Blessing my friend for her obedience in You. Enjoy His inspiration – & we will enjoy seeing the fruit of your gifts. You are a friend, Nicki. You spent a lot of time telling me I could do this. Thank you! Hope Ravenshoe is working well for you all. Glad you are safe, though thoughts with others. So proud of you. You have so much talent, glad you have finally found your niche whereby you can inspire, heal and bless others with your natural talents. Thanks, Karen. I just love to share the beauty I find around me. If it encourages others then that is fantastic! 🙂 lady Jayne is still on the list!